There was an interesting article in this morning’s Age written by historian Alex McDermott. Titled ‘In the Kelly legend are our own lives writ large’ Alex describes the international interest that was attracted to the news that the State Library had acquired a letter that gave an eyewitness account of Ned Kelly being taken into custody at Glenrowan. The Sutherland letter, which can be seen at the State Library of Victoria website here was written in 1880 by young Donald Sutherland, a bank teller in Oxley in regional Victoria, to his parents back home in Caithness, Scotland. On hearing of the news of the siege at Glenrowan he had travelled there, along with nearly everyone else in the vicinity, to rubberneck at this leader of the Kelly Gang who had terrorized the countryside for so long. And there he saw him laid out wounded on a stretcher, his head cradled by Kate Kelly, surrounded by his keening sisters. Ned does not at all look like a murderer and bushranger- he is a very powerful man, aged about 27, black hair and beard with a soft mild looking face and eyes- his mouth being the only wicked portion of the face. Thousands of people thronged to Glenrowan on receipt of the news and not one of the crowd there had the courage to lift the white sheet off the charred remains until I came up and struck a match- it being dark- pulling down the sheet and exposed all that remained of the two daring & murderous Bushrangers. They “presented a horrible appearance being roasted to a skeleton” being “[b]lack and grim reminding me of old Knick himself”. “To take the siege of Glenrowan, one of the most scrutinised events in Australian history, one of the most researched events in Australian history and then have someone sort of tap you on the shoulder and say, ‘Oh by the way, there is another account no-one knew about it, it just came up,’ it’s a gem,” he said. “What we have here is an everyday bank teller from Oxley, a little town near Glenrowan, and he’s not on the side of the Kellys, and he’s not on the side of the police. “[Sutherland is] able to give an account of how Kelly’s demeanour was, the sort of man he seemed to be. Is it too good to be true? Admittedly, Sutherland enclosed newspaper reports in the letter to his parents which gave much of the factual background to the Kelly events, so he was left free to give his own eyewitness account as an adjunct to these reports. Further, it is true that he is making the point that Kelly’s actual appearance did not reconcile with the images and rumours that were sweeping Victoria. But to have a physical description like this, with such a novelistic eye, still surprises me. Perhaps it’s jealousy that I’ve found no physical description at all of my own Judge, but from reading many letters of the time, I have found that people rarely commented on what people looked like. In memoirs, years after events, yes- but not in letters. I hope that the letter is authentic: surely research would have been undertaken into its provenance. But, as the recent challenge to the authorship of the diary-formerly-known-as-the-Lazarus-Diary shows, things are not always what they seem. To my mind, Kelly’s rebellion was fuelled by his extensive involvement in organised crime- namely, wholesale and retail horse stealing, which flourished in the region, especially in the circle of country that surrounded the Kelly homestead. This crime wasn’t, as Kelly himself maintained, the result of a land war between poor men and rich squatters, it actually preyed on the smaller selector farmers as much as the big pastoralists. In taking this stance, McDermott has been pitted against the doyen of Kelly Studies, Ian Jones, who takes the opposite view. The final part of McDermott’s Age article reflects on the relationship between historians who circle each other on contested ground. They were thrown together during the filming of Tony Robinson’s 2008 Time Team- inspired documentary on the Glenrowan siege site. He was the established lion of the field and I was the revisionist young Turk (in Tony’s excited narrative), who argued against some of the basic premises of Jones’ interpretation, which are also the popularly held ones- Kelly was victimised for being a poor Irish Catholic and suffered persecution from unreasoning tyrannical police bullies and an entrenched ethnic, economic and establishment elite. On the first day of the shoot, Robinson told me how remarkable he considered the decency with which Jones was treating me. Television is a dog-eat-pipsqueak world, as much as history wars. He’d seen plenty of other established authorities dealing with revisionist young contenders on other programs he’d done, and assured me it wasn’t pretty. “Do you have any idea how lucky you are to be treated so kindly?” the amateur historian and actor asked me bluntly. He then goes on to describe their interaction on the set of the documentary; staying the night in Beechworth with him; driving around Kelly sites introducing him to amazed and rather derisive acquaintances. It’s a heartwarming story in a world of snarky Amazon reviews and vituperative partisan websites. I can remember as a (much) younger reader experiencing a kind of grief when I finished a book where I had fallen in love with the main characters. What pleasure I took in series of books where you could meet up with them again! I must admit that I rarely feel that way today (one exception is Kate Atkinson’s Jackson Brodie character) and I’ve decided that I can’t remember characters well enough between books and their sequels to read them in real time – I’m better off waiting until a trilogy is done and dusted and then gorging on it in one big reading feast. I owe an apology to the shade of Jane Austen for involving her beloved Elizabeth in the trauma of a murder investigation, especially as in the final chapter of Mansfield Park Miss Austen made her views plain: ‘Let other pens dwell on guilt and misery. I quit such odious subjects as soon as I can, impatient to restore everybody not greatly in fault themselves to tolerable comfort, and to have done with all the rest.’ No doubt she would have replied to my apology by saying that, had she wished to dwell on such odious subjects, she would have written this story herself, and done it better. The scenario is this: Darcy and Elizabeth have been happily ensconced at Pemberley for the past six years where Elizabeth has duly delivered two Darcy heirs. It is the eve of the traditional Pemberley ball instituted by Darcy’s mother Lady Anne. Sweet Jane and Bingley have arrived early, Darcy’s sister Georgiana is fending off two suitors in Colonel Fitzwilliam and the young lawyer Mr Alveston, the silver is being polished and the house is crackling with anticipation. Suddenly the preparations are disrupted by Elizabeth’s younger sister Lydia Wickham, arriving unannounced and hysterical, shrieking that Wickham has been murdered in the nearby wood. He hasn’t , but his friend Captain Denny has. I shall go no further: if you have read the book, you’ll enjoy John Crace’s ‘digested read’ from the Guardian here. I was interested to see how (and if) P.D. James was going to pull this off. The need to provide background information entangled the book in several places. She starts by a prologue that briefly encapsulates Pride and Prejudice should there be any reader absent from planet Earth in the last forty years who has missed both the reprints and the frequent film versions- does such a soul exist? The backgrounding completed, she then launches into her own trajectory, in a voice that echoes Austen’s writing with long, convoluted but controlled sentences but a sad dearth of the cutting, clear-eyed quip that Austen-readers so enjoy. There are sly Austenesque references to Austen’s own oeuvre, most particularly Mansfield Park, and nods and winks to the original book, but often the clumsy backgrounding sections make you aware as an Austen-savvy reader that you are eavesdropping on a rather laboured explanation to other readers that you’d rather not have to sit through. Conversely, there is also P.D. James’ need as a writer to mould the expectations of her own crime-writing fans by warning that the timing of this book predates the rise of the detective and a paid constabulary. 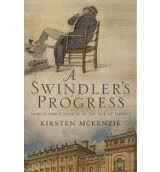 And so we see Darcy, who was himself a magistrate and surely familiar with such matters, intently listening to the lawyer Alveston’s explanation of the courtroom procedure and strategies and again, as a reader, you become aware of the backgrounding nuts-and-bolts that James is tightening as author. However, as an aspiring historian of nineteenth century English legal practice- and does a historian ever stop reading as a historian?- I was impressed by her fidelity to the role of the magistrate in pre-Peelite policing days and her sensitivity to early 19th century courtroom procedure, most particularly the nature of evidence and Wickham’s statement to the court. All of this involved James relinquishing those stand-bys of the modern crime genre and as such, testifies to her careful research, no doubt bolstered by her work on the true crime non-fiction book The Maul and the Pear Tree which she co-authored with historian T. A. Critchley. The crime itself and its motivations, while rather insipid by modern standards, faithfully reflect 19th century moral standards . 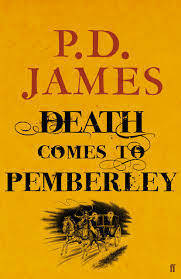 My qualms come not with P. D. James as crime writer, but with P. D. James as Austen fan. I was perhaps most disappointed by the flatness of the relationship between Elizabeth and Darcy and wondered if, perhaps, Elizabeth HAD been taken over by a zombie after all. The Elizabeth Darcy of this book admits that she would not have married a poor man, and weights young Georgiana’s choices between love and status equally on the scale of marriage choices. She’s an insipid shadow of her feisty self. It’s a question that James herself seeks to answer in the epilogue as Darcy unburdens himself over the same issue: “But how could you believe me altered? How could any rational creature?” (p. 307). I don’t know if James’ answer satisfies completely, but I enjoyed the interchange. I received this book in my face-to-face bookgroup (AKA ‘The Ladies who Say Ooooh”) where at our December meeting we anonymously lend a book that we have enjoyed, knowing that it will be returned to us. After giving our response to the book, we then try to guess who donated it. I think I know who donated it. I’ll say that in spite of my qualms, I enjoyed reading this response to Pride and Prejudice written by an honest fan, who brings her own wealth of literary skill (and sound historical research) to the challenge. I don’t think it will propel me towards the zombies though. Other reviews: Hah! Try to find a review of the book when the mini-series has been screen just days earlier!! Probably the best review that I’ve read is by our own Whispering Gums, a true Janeite! There are not many authors whose novels listed on the inside pages take up two pages- and they’re not even all listed there! Joyce Carol Oates is an amazingly prolific American writer: she has over 117 books (novels, essays, poetry) under her belt. I like her. I’ve read several of her books both under her name and under pen-names and I’ve always found her a good, if disturbing, read. But I’m not so sure about this one. A young woman, the daughter of an abusive man meets a stranger on the canal path. “Are you Hazel Jones?” he asks. She wasn’t Hazel Jones then, but she was to become Hazel Jones in the future after marrying an abusive man of her own. Embracing this new identity, she leaves behind her own family life, her liminal status as a refugee and her unhappy marriage to become a woman she had never met and possibly never existed. The story is based on Oates’ own grandmother’s story, which is rather a departure from her usually rather gothic and event-driven plots. Perhaps that’s why I didn’t particularly warm to the book. Even though she has written books based on real-life characters (Blonde, for example, is based on Marilyn Munroe), her reason for creating her Rebecca Schwarts character is emotional rather than narrative. I wonder if she was hamstrung by a commitment to honour her ancestral connection instead of letting her rather vivid and convoluted imagination take flight to enrich the book enough to carry it through nearly 600 pages. Quite frankly, not a lot happens. The ending, based on a chapter published in a magazine as Oates is wont to do, seems completely disconnected with what has come previously and just sits there, resolving nothing. All in all, rather disappointing. Sourced from: Yarra Plenty Regional Library, then La Trobe University Library when I was not able to renew it because I’d taken so long to read it! Read because: I felt like a long, meaty read and I’d enjoyed JCO in the past. 2012, 303 pages & notes. For someone who should be deeply immersed in nineteenth century colonial history, I seem to be spending rather a lot of time in twentieth century Stalinist Russia. I was there a few weeks back with Sheila Fitzpatrick, who gave an outsider’s view of living and studying in Moscow during the 1960s, and here I am back again. This time, I’m in the company of insiders – people who could not in any way be described as dissidents, who lived and died in Russia- but one of them, Lev Mischenko, became a physical outsider when he spent eight and a half years on the extreme edge of Russia in one of the gulag camps in the Arctic Circle. Orlando Figes- where do I know that name? I’ve read some of his books before: Natasha’s Dance and A People’s Tragedy. In this book he brings his deep knowledge of Russian history and society to contextualize the archive of almost 1300 letters that were written between Lev and his partner Svetlana Ivanova while he was imprisoned in the gulag, working in the wood-combine generator that powered the timber works in the frozen forests at Pechora Labour camp. Figes does it well. There are maps, photographs, explanations and he explains not only the minutiae of labour camp life, but also the sweep of Soviet politics on the outside during the time that Lev was imprisoned. But the real, real strength of this book is Lev and Sveta’s story, and the beautiful, nuanced, tender letters that they shared over this time. They met at university and went out together for three years. When war was declared, he rushed to enlist but was soon taken captive by the Germans. He was able to speak German, and as a prisoner-of-war, used his linguistic skills to translate camp orders. When the prisoner-of-war camp was liberated, he was arrested almost immediately and falsely accused as a ‘fascist collaborator’. The trial was a farce, he was tricked into a confession, and sentenced to ten years at Pechora. For the first few years, he struggled silently to survive in the cold and deprivation. It was only then that he dared to write to an aunt and asked, almost in passing, whether Svetlana and her family had survived the war. Svetlana, who had thought that he was missing in action, wrote immediately on learning that he was still alive. And so the correspondence began. Prisoners, on average, were allowed to write and receive one censored letter per month. And so it seems almost incredible that they could write so many letters, but his relatively favoured position as a skilled engineer in the generator-room brought him into contact with the indentured and free workers who lived and worked side-by-side with the prisoners. These friends acted as intermediaries and passed their letters to and fro, at great risk to themselves. I was surprised to learn that people lived and worked in the labour camps by choice, and in this regard, I was reminded of John Hirst’s work in describing a gulag of a lesser sort: the penal colony of New South Wales. As Hirst explains it, as soon as free settlers were included on the First Fleet, the solely-penal nature of Botany Bay was compromised. It is just not possible to have free and unfree together without allowances, incentives, slippages and concessions. And so too, Pechora Labour Camp required some skilled workers and guards, and some ex-prisoners, completely alienated from the world they had left behind, chose to work there for wages after their sentences had expired. But it was a tenuous and fragile position nonetheless. Lev’s his greatest fear was that he would be sent into the forests at a moment’s notice to wade in the frozen rivers, pushing logs along the river and loading them onto trains for transport out of the forest. Even more striking was Sveta’s determination to visit him. At this point, with the organisation of the logistics of her visit, and the deceptions that she had to practice to hide her trail, I found myself feeling quite sick with anxiety. I eyed the number of pages left in the book: was it a good or a bad thing that I was barely half way through? I don’t want to tell any more. Their letters, and Figes’ exposition, do it far, far better than I ever could. But where did I know the name Orlando Figes? I found myself bemused by the rather wooden epilogue, penned by Irina Ostrovskaya, the director of Memorial, the organization that is custodian of this priceless and unique archive. Given that in a narrative, the epilogue is often the emotional touchstone of the whole book, it struck me as odd that it would be turned over to such a stilted and redundant piece of writing. Then, on reading some reviews of the book, I remembered where I knew the name Orlando Figes. It seems from this Guardian article that this book has been attended by controversy as well. I wrote about it here. “No one knows what to do with you… Professor Figes” wrote Maria Tumarkin in her 2011 Meanjin essay (available here), and I must admit that I don’t know what to do with the knowledge of the academic murk that swirled/swirls? around his reputation either. These letters don’t need an academic to introduce or explain them: they stand strong as beautiful literature and testaments to love and humanity in their own right. That said, I believe that they have been enhanced by Figes’ contribution. But then, academic integrity is a hard-won and cherished attribute. The academic world can be unforgiving. 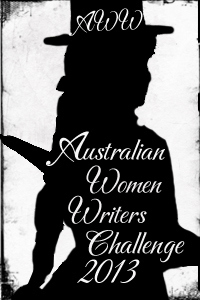 How does a writer gain redemption? What agenda was at play in the inclusion of the epilogue? I must admit that I don’t know what to think. I do know that I closed the book and announced “That’s the best book I’ve read all year”. Does it have to be this ugly? When I first heard about Baillieu’s plan to put armed guards on railway stations, I was not impressed. I am even less impressed now that they’re actually arriving at my local station, Macleod. Could a donga be any uglier?